For businesses, it’s natural for success to be associated with growth. But while this might mean more turnover, it also means more supplies, more staff, more inventory, more equipment; in other words, growing your business can be expensive. In order to finance business development successfully, careful planning is a must. 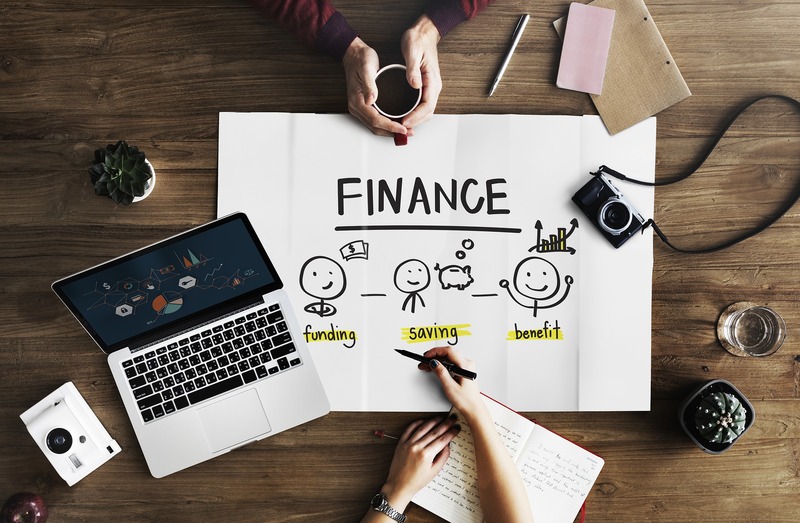 Stephen Whelan, business relationship manager at Spotcap, provides a top-line overview of some of the funding options available and provides a few common scenarios that small businesses face when growing. The first step in finding the right finance for your business requires you to think about your timeline. Am I looking for short or long-term finance? Common short-term finance (I think of it as funding with a term of two years or less) includes invoice finance or unsecured loans. Long-term finance (often with a term greater than two years) can include traditional bank and asset-based loans. While these financing options aren’t exclusive to the term lengths mentioned they are commonly used in this way. To make it more clear, let’s look at some scenarios. Imagine the following situation. You have been working towards striking a deal with a major client. Acquiring a contract like this can elevate your business to entirely new heights and put your product forward for other lucrative opportunities. But in securing the contract, a sudden need for cash can become overwhelming. Large sums are spent on extra inventory and you may need to purchase new equipment–specialist tools or high-value machinery. You need to quickly acquire funding to tie the business over until income starts flowing in. An unsecured business loan is a financial arrangement where the borrower isn’t required to tie an asset down as collateral. The borrower is provided with a credit line from which they can draw down whenever the need arises. In most cases, businesses are not charged until they make a withdrawal, which makes this product a versatile emergency fund for unexpected expenses. In this scenario, it would be best for the credit line to be set up prior to contractual negotiations. As a result, you will be better prepared. After winning the contract, you can make the necessary withdrawals for extra resources and still be able to fulfil obligations to other customers. If the client rejects your proposal, then no extra fees are incurred from the unused funds. If you regularly invoice businesses this could be your ideal source of short-term funding. When borrowing based on what you are owed, there is little risk that repayment is beyond your reach. As lenders pay an advance on the majority of an incoming payment, invoice financing essentially works to ensure your company is paid sooner. In order to complete a looming large order, funds from a previously unpaid job could be just what your business needs. In theory, you have the funds but they’re not yet with you. With cash in your account sooner, you can purchase that equipment or hire that member of staff that allows you to take on that larger order. In some cases, business growth means expanding to a second location in order to tap into new markets. This step is considerably larger in terms of scale compared to the previous two scenarios, and therefore requires more financial planning. Some businesses rely on the profits from the existing location, but this doesn’t always work out. Before generating any income, the new premises will require substantial investments in terms of property, operational costs and inventory management. On top of that, the first location will still need a healthy cash flow of its own and investment in order to stay competitive. Take these away, and you risk failure in both ventures. A common best practice is to treat the new premises as an entirely separate undertaking and keep the financing separate. When approaching a new location like a brand new business, your success in your first location almost always has an impact on how you acquire funding. If your original location is generating a healthy profit, your proposition becomes more attractive to traditional bank lenders. Long-term loans can help you build stability for your new location, but they will require you to provide collateral in the form of a valuable asset, or even property—e.g. one of the premises in the two locations (if you’re purchasing rather than leasing). Therefore, before expanding your business in this manner, make sure that it is absolutely ready to take on the risk. Peer-to-Peer lending offers a straightforward alternative where businesses have found the red tape and necessary collateral of a bank loan a less than an ideal fit. Peer-to-Peer platforms gather small investments from individual investors to offer a business a lump sum to suit their needs. With loan terms of up to five years available with many platforms, a larger loan and launching new locations is possible. That being said Peer-to-Peer is a flexible financing option with many duration options and different end goals. The financing options highlighted have the ability to serve both short and long-term needs but I have outlined them in scenarios which I believe suit their nature. For an extensive list of options, see the British Business Bank’s Business Finance Guide. In the end, there’s no one way to fund the growth of a business. Carefully consider how much you need to give before you can receive, whether your demands are short-term or long-term based and take the time to find the right financial product that fits your plans. Your hard work has gotten you here, and with the right funding, it can definitely get you even further. More on growing your business and business finances. How to use unsecured loans to fund your small business?